Sligo Social Services opened its doors to the people of Sligo in 1969, with a clear vision to improve the quality of life of the local community. The fledgling organisation had a clear vision to assist in providing much needed services to those who were suffering the effects of disadvantage and marginalisation. A friendly, confidential and community based Service, we are proud that the ultimate measure of our work is seeing positive change in the lives of others. The organisation has grown over the years and now provides personal community based services to a wide range of people in Co. Sligo and parts of Co. Leitrim. Sligo Social Services has remained true to its original mission. We are flexible and innovative in our response to those who are experiencing difficulties in our community, recognising their changing needs and circumstances, so that they never find themselves alone and without support. Sligo Social Services strives to empower individuals, families and communities in the Sligo region in improving their quality of life through the promotion of social justice, equality and the dignity of the human being. Sligo Social Services is fully committed to upholding the highest standards of Corporate Governance. We believe that maintaining these high standards is integral to demonstrating accountability to those who fund and support our work. It also ensures that the organisation is proactive and responsive in order to achieve the goals of Sligo Social Services. Sligo Social Services is governed by a voluntary Board of Directors. It is made up of experienced and committed people. The Board is advised by a number of expert committees and is responsible for the overall control and strategic direction of the charity. 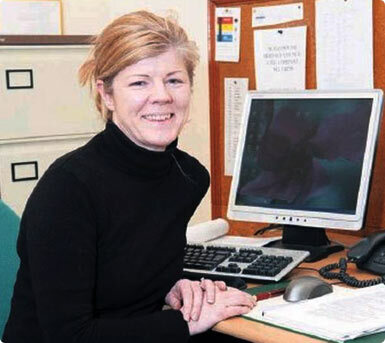 A voluntary Board of Directors steer the governance of Sligo Social Services. The Board members also take an active role in fundraising and contribute to the areas of the organisation in which they have the most expertise. See our board here. All directors are voluntary and receive no remuneration. The Board meets 10 times per year and has its Annual General Meeting (AGM) in May of each year. The directors present their annual report together with the audited financial statements of the Company for the year ended at the AGM. In our Annual Report you’ll find details on our structure, activities and accounts for that year. You can view or download Sligo Social Services Annual Reports since 2014 & Recent Publications here. It is my pleasure to welcome you the Sligo Social Service Council website.This website will hopefully help you in learning a little more about our organisation and the work we do. Sligo Social Services is a unique organisation that has contributed positively to the lives of many children, families and adults in Sligo and Leitrim for more than 40 years. We provide a pre-school, afterschool’s, family support services, counselling for young people and adults, and an open access service. We also provide a meals on wheels service and a befriending service for the elderly in the Sligo area and a number of homeless services including homeless hostels for single adults, and short-term family accommodation. We also offer a substance misuse service for people with addiction and at risk of becoming homeless. It takes the commitment of statutory funders and donors, from staff, volunteers and our supporters to help us to do all of this and we are very grateful that we have benefited from such support over the years. You can learn how you can be part of our work through the many volunteering and fundraising opportunities you will see on our website. It is our hope that we will continue to play a significant role in improving the lives of many within our community. Thank you for visiting our website. If you have any comments or suggestions as to how we might further enhance our website, please do not hesitate to contact us directly at info@sligosocialservices.ie or 071 91 45682.